HEL 098 Glassware Jacketed Distillation Offset Adapter w/ Stopcock Opening . New Life Scientific, Inc. 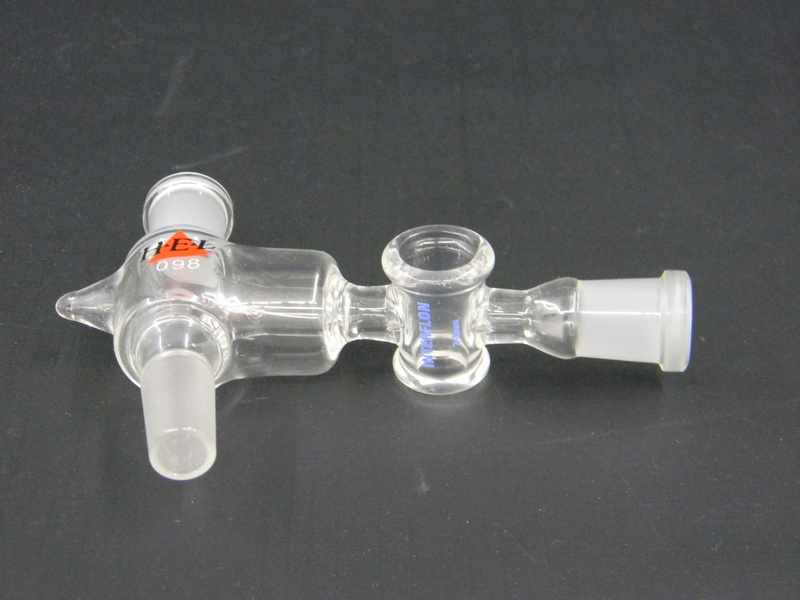 This adapter is for use with distillation set-ups. The adapter is offset with a side are that can be controller for possible extraction or overflow with a glass stopcock. This glassware was originally acquired from a US pharmaceuticals lab. There are no visible cracks or chips to the glassware that would hinder its efficacy.